Are you preparing for competitive exams – Is it JEE Entrance exams? When it comes to preparing for the CBSE based exams, The NCERT is your Bible! 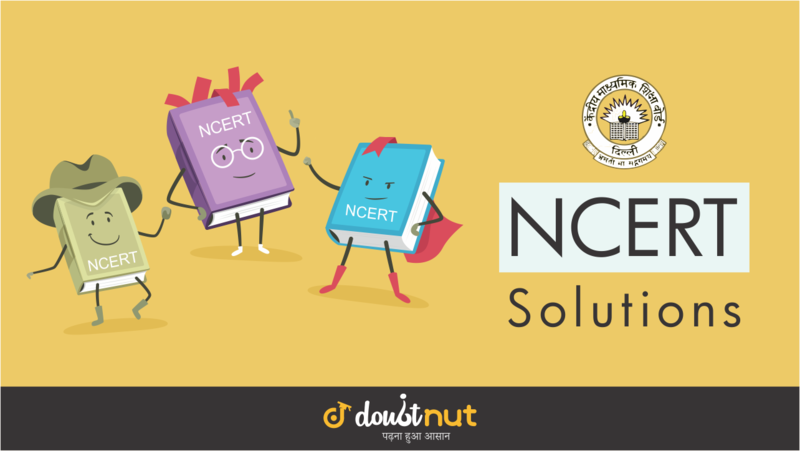 WELCOME to Doubtnut.com – India’s leading e-learning website, offering complete NCERT solutions to CBSE students across every nook and corner of India. Get here NCERT Maths Solutions videos - Class 6th, 7th, 8th, 9th, 10th, 11th and 12th - as per the CCE marketing schemes provided by the CBSE. These pre-recorded and self-explaining tutorials are meant to clear up your doubts, giving a thorough understanding about complex NCERT topics. The NCERT (The National Council of Educational Research and Training) books contain the contribution of some of the most brilliant mathematicians of our country. Thus, making it full of fine points and details. Doubtnut.com has decoded the every minute details of NCERT. Our aim is your conceptual clarity. We understand the scope and nature of your Maths board exams, how the questions are created and what an examiner needs in answers? The NCERT solutions here are compiled by the examination experts IITians and Ph.D. scholars explaining the answers in crisp and relevant manner. The video talks about the latest NCERT edition to help Maths students from class 6th to highest 12th standard. In every video our experts talk about the detailed chapter-wise solutions for all questions of NCERT Maths book. Every chapter is divided exercise wise and answers are curated in line with CCE marking scheme pattern. Simply click on chapter links below and select the respective exercise, you wish to learn. Mathematics requires more concentration than any other subject. While following these NCERT video tutorials you need a distraction free study environment. Study in a peaceful and noise-free study room. It will help you in stimulating the flow of solving complex equations in geometry, algebra or trigonometry! Also, it is would be a good idea to study with your friends. You can practice in your study group. This way it becomes easy for you to bounce ideas off while solving critical problems. The notes preparation while watching the videos is simple yet most effective strategies. Make sure to keep a journal and prepare your notes on all the important points and formulas in that. It will help you to retain the information for a longer period of time. While, you can anytime come back to revise the videos with the expert! Maths is all about practice. If you find yourself stuck in one question then try to process the each step on a notebook. Write it down with a pencil or pen. Time and patience are two virtues to master the Mathematics. Soon writing on your own will turn out to be stepping stone in your numerical solving ability. These pre-recorded tutorials are designed not only to help students during their board exams but also come handy to prepare for JEE entrance, BITSAT and VITEEE etc. exams. Students who are going to appear in competitive exams can prepare Mathematics with these NCERT Solutions to secure a meritorious position. Whenever you face difficulty in understanding a concept or cannot structure an answer appropriately, refer to these videos anytime, anywhere. Study from these NCERT tutorials carefully because usually, nothing beyond NCERT is asked in competitive exams. We at doubtnut.com are poised at revolutionizing the education system in India. Ours is a 24X7 open learning platform, because we know you are studying round-the-clock. So, without being tied down to fixed schedule, you can study whenever you wish too i.e. during metro travels, while waiting for next lecture to begin or simply when you are bored with books?! Open a Maths NCERT Solutions video and you will find an IITian expert guiding you! With the comfort & convenience of learning in HD prime quality. The best part is complete flexibility in learning. You can rewind, fast-forward or go to next tutorial as per your wish! Thus, giving students complete control! Doubtnut.com has no convenience fee or hidden platform charges! We simply want you to learn! Until you clear all your doubts!